Porsche SE says raids possible in emissions probe. 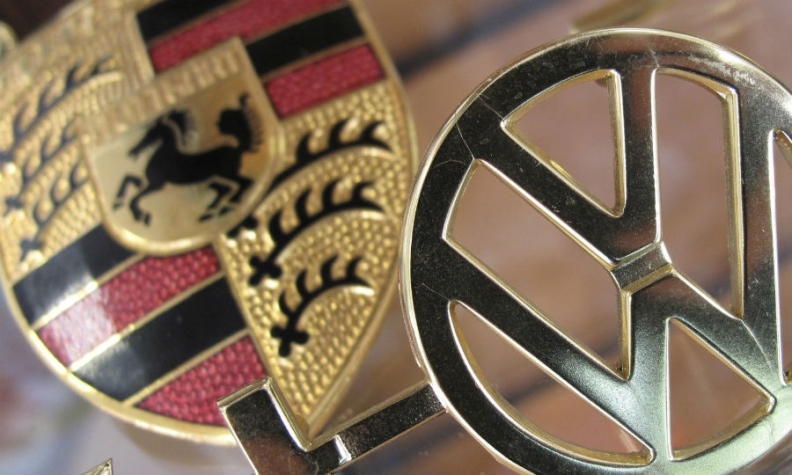 STUTTGART -- Porsche Automobil Holding SE cannot rule out the possibility that investigators acting on behalf of German public prosecutors may raid its premises in connection with Volkswagen Group's diesel emissions scandal. Porsche SE is an investment vehicle which owns the majority of VW's voting shares. Stuttgart prosecutors confirmed earlier this month that Porsche SE CEO Hans Dieter Poetsch and management board member Matthias Mueller are being investigated on suspicion they may have informed investors too late about risks to Porsche SE from VW Group's emissions cheating. Poetsch is VW chairman and Mueller is VW Group CEO. Poetsch reaffirmed at Porsche SE's annual meeting on Tuesday that the company considers the allegations unfounded. A Porsche SE spokesman said: "We have nothing to hide," adding that there were no indications to suggest prosecutors were planning to search the company's offices. Poetsch, Mueller and former Porsche SE CEO Martin Winterkorn are under investigation following a criminal complaint lodged in the summer 2016 by German securities regulator BaFin. Two other top Porsche SE executives, Manfred Doess and Philipp von Hagen, are excluded from the investigation since neither serve on the VW Group board. Major automakers including General Motors, Daimler and Fiat Chrysler Automobiles have been hit by allegations recently that their diesel vehicles had illegal software to circumvent clean air regulations limiting nitrogen oxide emissions. Last Tuesday, Daimler shares came under heavy pressure after the company confirmed investigators had searched various offices across Germany in connection with an investigation.